Cerecetam (Piracetam) is a nootropic with many effects related to boosting memory function, treating cognitive impairment and improving learning ability. It works by enhancing the function of neurotransmitters. Cerecetam (Piracetam) is a nootropic with many effects related to boosting memory function, treating cognitive impairment and improving learning ability. It works by enhancing the function of neurotransmitters. In addition to this, its mechanism of action may also involve increasing the capacity and metabolism of the brain and ensuring that it is provided with a sufficient level of oxygen. Although it was originally developed for controlling the symptoms of myoclonus, it has recently become popular for other uses, including dementia, vertigo and strokes. Its antithrombotic and neuroprotective effects (meaning that it reduces the formation of blood clotting) may explain why it has been studied as a potential treatment for an ischemic stroke, or to aid the recovery process after someone has suffered a stroke. The active ingredient is in a class of drugs called GABA analogues, and it has been hypothesized that its ability to improve the memory process may be due to it increasing the function of acetylcholine (a type of neurotransmitter). A medical study examined its effects if used on elderly patients with dementia, Alzheimer's and cognitive impairment, and some people have taken it for these conditions. Researchers also found that it may increase cell membrane permeability and cause an improvement in neuroplasticity. Animal studies pointed to increased corpus callosum activity. Recently, it has been said that this medicine could even improve concentration and as a result of this, it has become popular with students. Other conditions and potential uses for which it has been researched include dyslexia, sickle cell anaemia, cortical myoclonus, cognitive impairment due to alcoholism, vasospastic conditions, depression, anxiety, dysgraphia and other disorders. 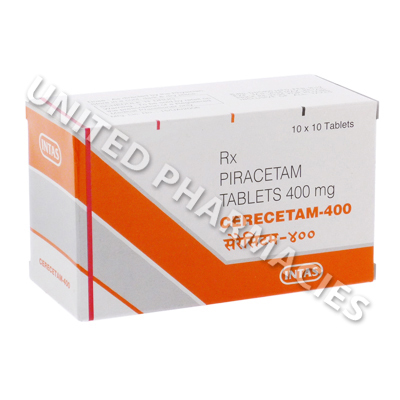 Cerecetam (Piracetam) is provided as 400mg strength tablets for oral administration. Each tablet is swallowed with a glass of water. Your doctor will calculate the correct daily dosage and provide you with all the necessary details related to the frequency of administration and the strength of each dosage. Full compliance with all of the requirements and instructions of the doctor in charge of treatment is necessary throughout the entire duration of treatment. In addition to the reactions listed above, other side effects may be noticed. Side effects which are severe in nature and pose a threat to your health will necessitate immediate medical treatment. Prior to the commencement of treatment, you must notify your doctor if you have a history of suffering from a bleeding problem, as this may mean that you will be unable to take it. Be aware that you may become drowsy or experience shakiness after taking this medicine, and if this does happen, you will not be able to drive or operate machinery. 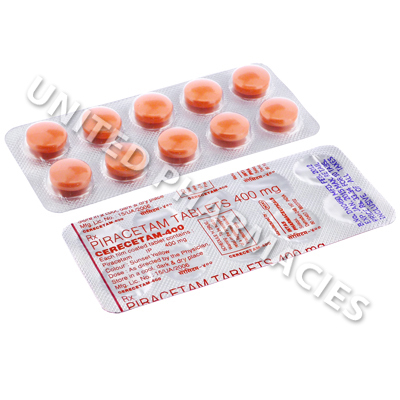 Always use Cerecetam (Piracetam) as you have been prescribed by your doctor. Never self-medicate or change your dosage without first consulting your doctor. The correct dosage can vary depending on your health, medical history, and the severity of the condition being treated.